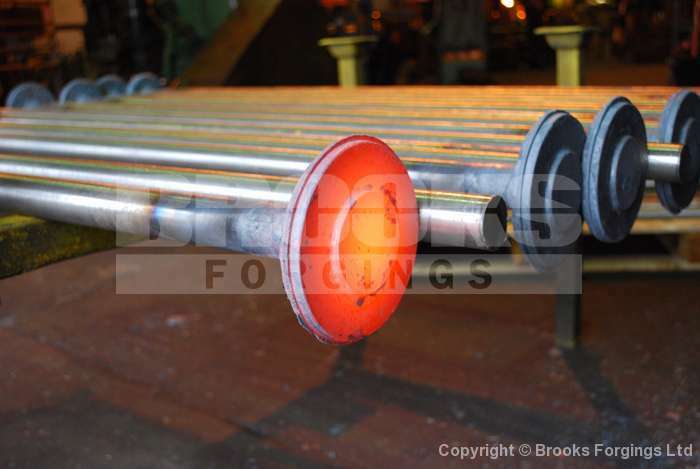 Steel Forgings - Forged Blanks and Usages - ©2019 Brooks Forgings Ltd.
We are able to manufacture and supply forged blanks, also known as usages. 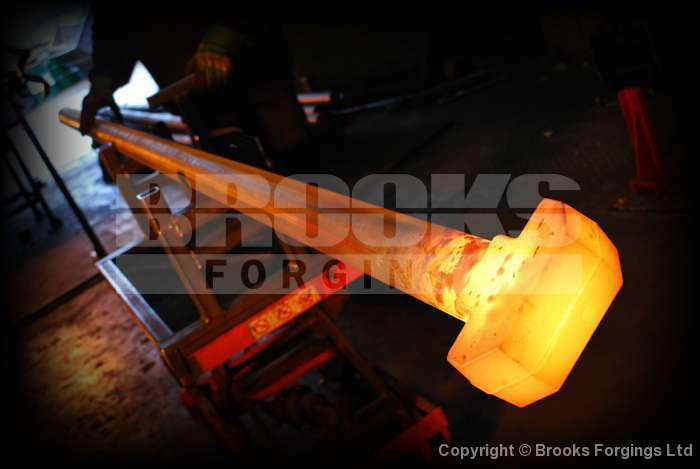 Forging allows the required shape to be achieved with the minimum amount of waste material thus reducing the final costs. 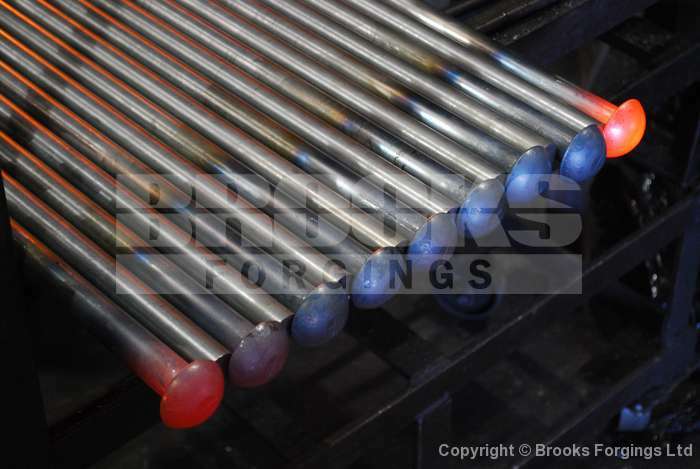 Where necessary bars can be enlarged at one or both ends to be machined afterwards, once again reducing machining time and cost of raw material. • Save up to 50% on material. • Improved machining cycle times. 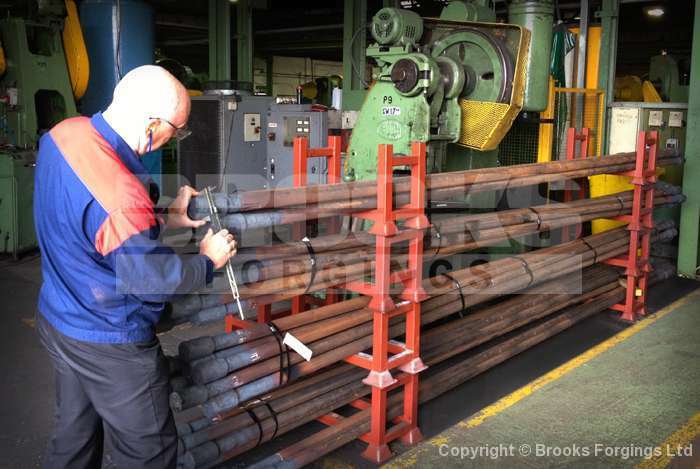 • Increase shop capacity as a result of reduced cycle times. • Better metal grain flow and strength. • Reduced tool and tip cost, because of less material removal. • Reduce pre-form operations and increased output. • Die cost and size reduced, by removing pre-forming impressions. • Less requirement to work away from centre-line of ram, reducing wear and stress on expensive components. • Reduced energy cost, through reduced cycle time. 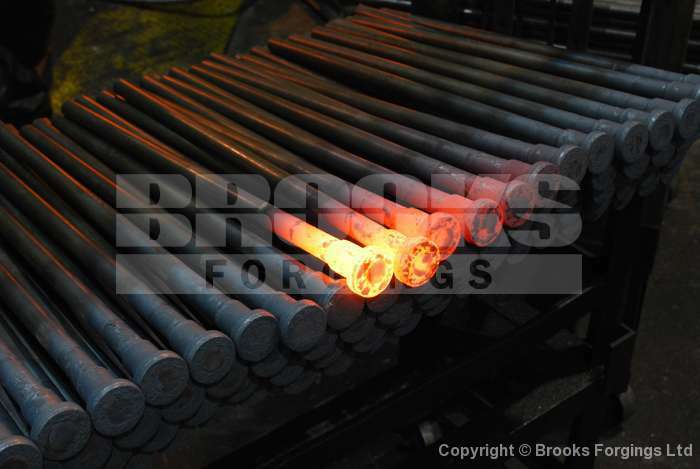 We specialise in the Upset Forging of round bar from 6mm up to 100mm diameter. 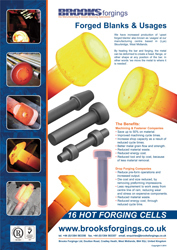 This process is best suited for the production of usages or close net forgings, commonly used by machinists who are proactive in reducing costs, saving material and offering a more reliable component. 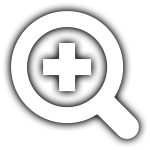 The above image is a perfect example showing the amount of material that can be saved for a component requiring a reduction in diameter. Directional alignment through the forging process has been deliberately oriented in a direction requiring maximum strength. 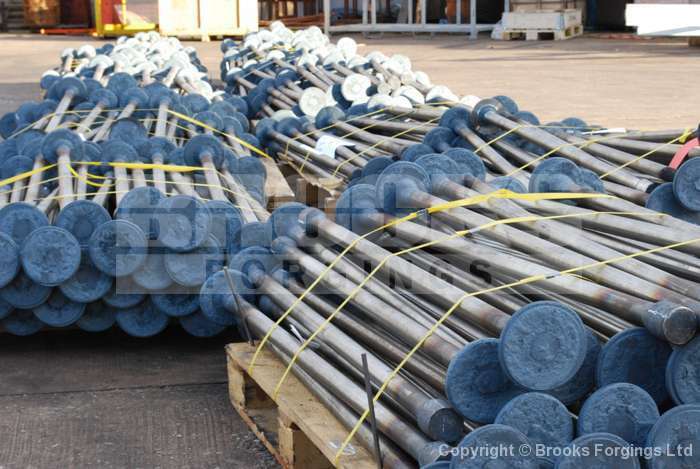 This also yields ductility and resistance to impact and fatigue. Unidirectional grain flow has been cut when changing contour, exposing grain ends. This renders the material more liable to fatigue and more sensitive to stress corrosion cracking. 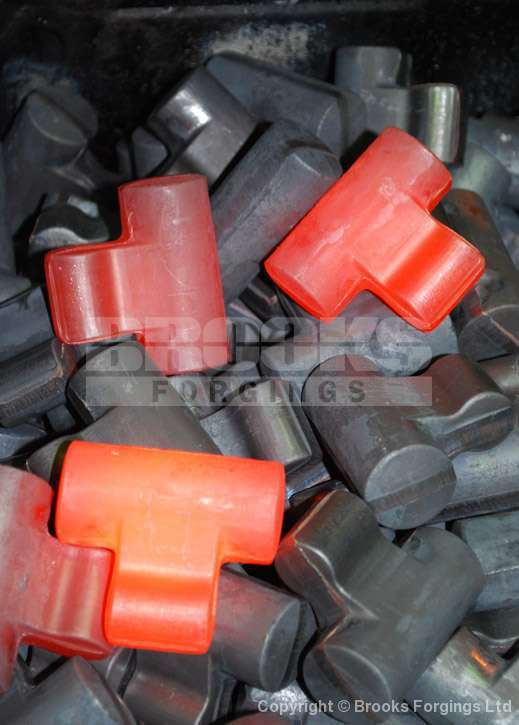 No grain flow or directional strength is achieved through the casting process. 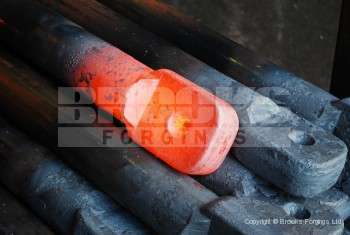 A brief overview of our Forged Blanks & Usages production range.